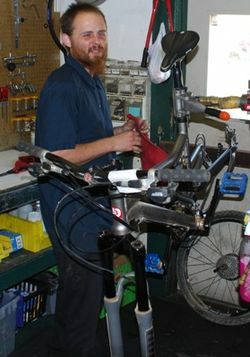 As your Neighborhood Shop, Cycle City takes great pride in servicing a wide variety of bicycles. Our mechanics make informed decisions about your bike and its repair-ability; we will always help you when we can. Bring your bike in today for a FREE estimate on repairs! 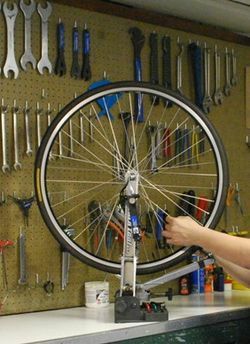 This service also includes labor for installation of new tires, tubes, brake pads, grips, saddles, and pedals. Installation of all other components ½ price. Includes labor for installation of accessories (except baskets, fenders, and racks, which are ½ price). ALL new Shimano Stainless Steel control cables and Shimano housing at no additional charge. Labor for installation of new tires, tubes, brake pads, cassette, chain, chainrings, grips, bartape, saddles, and pedals at no additional charge. All other components ½ price. 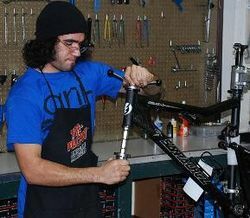 Labor for installation of accessories at no additional charge (except baskets, fenders, and racks, which are ½ price). Includes everything from Deluxe Tune. This page was last edited on 31 January 2019, at 00:58.